Winter wishes from a chunky snowman! 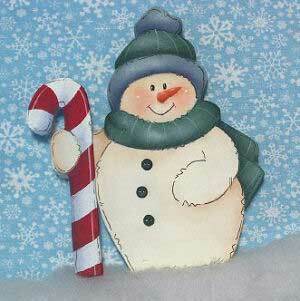 This cute snowman can be displayed all winter long. Great for craft shows. Loew-Cornell Angular - 1/2" and 3/4"
Debbie Mitchell Stipplers - 1/8", 1/4", 3/8" and 1/2"
Copyright 2015 Beverly Kindred. You may make as many of these as you want, and sell the finished product at craft shows, art festivals and other handmade affairs.